Pescatarian (sometimes spelled "pescetarian" with an e) is a word sometimes used to describe those who abstain from eating all meat and animal flesh with the exception of fish. 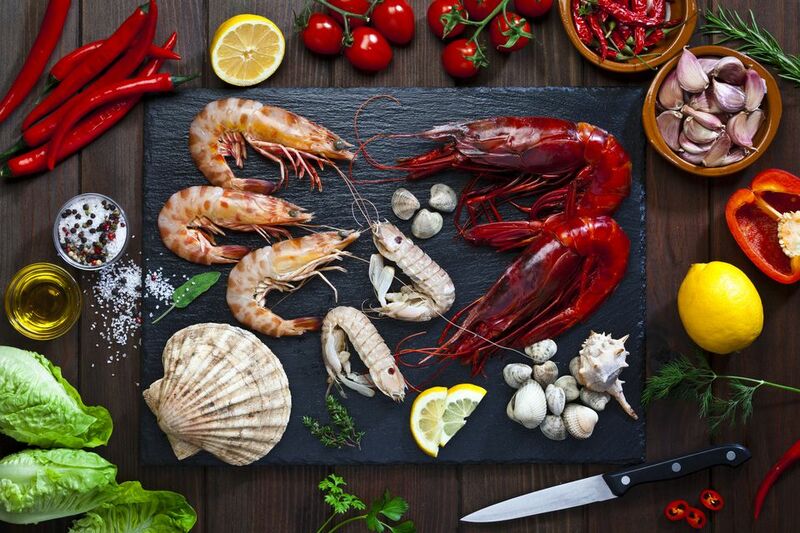 That is, a pescatarian or someone who follows a pescatarian way of eating maintains a vegetarian diet with the addition of fish and other seafood such as shrimp, clams, crabs, and lobster. In other words, a pescatarian is a person who eats fish, but doesn't eat steak, chicken, pork or any other kind of meat — only fish and seafood. That's not all they eat, however; pescatarians also eat mainly vegetarian foods such as tofu, beans, vegetables, fruits, dairy and grains. So a pescatarian diet is a diet that includes fish but not steak, chicken, pork or any other kind of meat. Although the word is not commonly used and a pescatarian is not really a vegetarian, often people adopt this kind of diet for two reasons: one, they have health concerns (such as high cholesterol) and want to cut out meat but still get healthy protein. The other common reason to go adopt a pescatarian diet is to build up to a completely vegetarian diet. Other reasons for adopting a pescatarian way of eating include many of the same issues that motivate people to go vegetarian or vegan: a reduced environmental footprint, and animal cruelty concerns. And some people follow a pescatarian diet for religious reasons. Pescatarians often believe that moderate consumption of fish or fish oils, which are high in Omega-3 fatty acids, is necessary for optimum health, although vegetarian alternatives, such as flaxseed oil and hemp foods are available. While it's true that fish are a good source of protein, this shouldn't be the sole reason for eating a pescatarian diet. There are plenty of meat-free and fish-free sources available to vegetarians and even vegans, including eggs, low-fat dairy, beans, lentils, nuts and more. Worried about getting enough protein on a vegetarian diet? Don't be! There are plenty of ways to maintain a protein-rich diet without consuming meat or fish. No. A pescatarian is not a vegetarian or even a type of a vegetarian. There is much confusion over what a vegetarian is and isn't, but no definition of the term ever includes fish or seafood. To be 100 percent clear, a vegetarian diet excludes all animals; and fish are animals. Therefore, a diet that includes fish, or a person who consumes fish cannot be properly called a vegetarian. A pescatarian is not a vegetarian, and a vegetarian diet does not include fish. Are Pescatarians the Same as Semi-Vegetarians or Flexitarians? Not really, but sort of. A "semi-vegetarian" -or a "flexitarian" is someone who eats a mostly vegetarian diet, occasionally supplemented by meat, though there's no real agreed-upon definition of how often one can eat meat and still call themselves a semi-vegetarian or a flexitarian. Pescatarians are not restricted to "occasional" fish and may eat fish as little or as frequently as they prefer. What Are Antioxidants in Food?